The mission of the San Saba Independent School District is to provide an educational environment that will enable all students to develop essential academic skills for a lifetime of learning and to prepare students to be responsible, contributing citizens in a diverse and changing world. The District is committed to maintaining high expectations of students as well as staff by demonstrating professional behavior and by supporting all students and school programs. 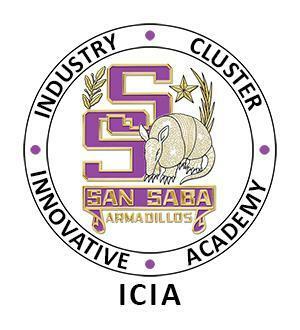 The San Saba Industry Cluster Innovative Academy will equip students with skills to meet health industry demands and is aligned with the workforce needs of the Central Texas area. SSISD educates future health industry professionals to impact the health and wellbeing of all individuals through professional practice, healthcare leadership, and global service.